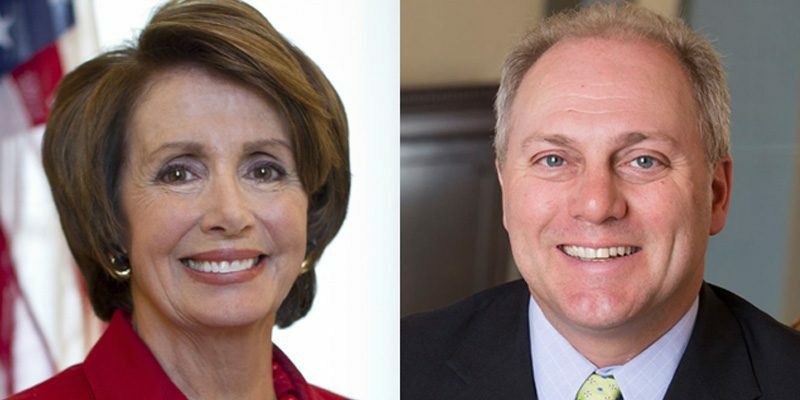 Fox News: House Minority Whip Steve Scalise told Fox News’ “Your World with Neil Cavuto” on Tuesday that House Speaker Nancy Pelosi needs to change her tone and start making “credible” compromises to avert another government shutdown over border wall funding. Pelosi, D-Calif., on Monday invited President Trump to deliver the State of the Union address on Feb. 5, after refusing to allow him to appear in House chambers during the partial government shutdown. On Friday, both chambers of Congress passed a short-term spending bill to reopen the government through Feb. 15 — but it includes no funding for a border wall. Scalise said that experts have called for more than $5 billion in wall funding, and that Democrats are playing politics. Earlier this month, U.S. Border Patrol chief Carla Provost told “Your World” that “we certainly do need a wall,” and the president has touted the support for one from the national border patrol union at White House press briefings. “It’s going to take at least 5 and a half billion dollars — our experts who risk their lives have said that’s what it will take to secure our border,” Scalise said. “What’s Nancy Pelosi willing to put on the table now that we’re out of the shutdown? Pelosi has rejected the White House’s attempts at compromise to secure wall funding, including various immigration-related concessions for Deferred Action for Childhood Arrivals (DACA) recipients and extensions for emergency refugees. Earlier this month, Hoyer, D-Md., told Fox News that border walls “obviously” work in some instances, and rejected Pelosi’s suggestion that walls are necessarily immoral. Remember Hitler, Pe-lo-si, the same. just declare a national emergency and the HELL WITH THOSE LAWLESS COMMUNIST DEMORATS. 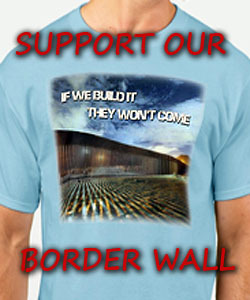 WHY DOESN’T THE PRESIDENT TAKE THE BARRIER MONEY FROM THE DISCRETIONARY FUNDS THAT ARE SITTING THERE NOT BEING USED. FROM WHAT I READ TODAY THERE IS A HUUUGE AMOUNT SITTING THERE UNUSED AND THE PRESIDENTS SINCE REGAN HAVE USED IT.